Seattle, WA – Alaska Airlines is partnering with select ski and snowboard resorts in the western U.S. and Canada to offer free flights and special rewards for travelers, including free lift tickets. Alaska Airlines’ new “Ski the West” promotion requires flights to certain destinations between now and February 23, 2015 and registration in the airline’s mileage plan. Those who fly two separate round trips to any two participating ski destinations will receive a coupon good for a third roundtrip ticket to any of the qualifying ski destinations. Customers must pay the required taxes and fees at the time of booking. Once travelers arrive at their winter resort, all they need to do is show their Alaska Airlines boarding pass to receive discounts and complimentary activities with select partners that include free lift tickets and free night skiing. Offers vary depending on the resort. Participating resort partners include: Alyeska Resort, located outside of Anchorage, Alaska; Mammoth Mountain Ski Area and Squaw Valley Alpine Meadows, located in California; Big White Ski Resort, near Kelowna, British Columbia, Canada; Steamboat Ski Resort, Steamboat Springs, Colo.; Sun Valley Ski Resort, Sun Valley, Idaho; Big Sky Resort and Whitefish Mountain Resort, located in Montana; Taos Ski Valley, N.M.; Mt. Bachelor Ski Resort, near Bend, Ore.; and Snowbasin Resort and Snowbird Ski & Summer Resort, located near Salt Lake City. Alaska will resume seasonal nonstop flights from Sun Valley to Seattle and Los Angeles on Dec. 13. Flights between San Diego and Mammoth and Seattle and Steamboat Springs will begin on Dec. 18, while new, seasonal flights between Las Vegas and Mammoth begin Jan. 15. As part of “Ski the West,” Alaska will unveil two, ski resort-themed planes in December to promote Alaska’s nonstop service to Squaw Valley, Snowbird and Snowbasin, located near Salt Lake City. 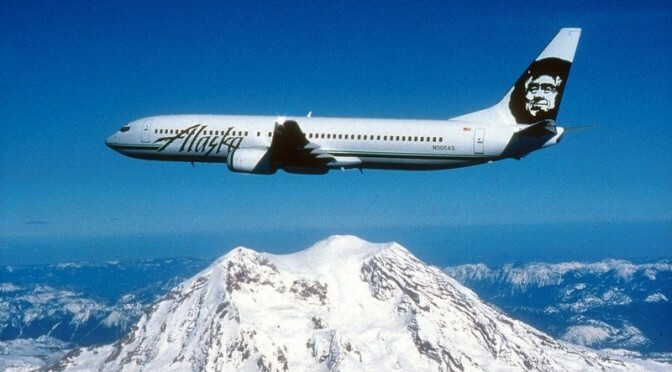 The Q400 and 737-800 will fly throughout the Alaska Airlines route network until April 30, 2015. 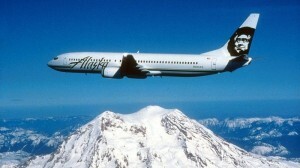 For complete rules and details, visit www.alaskaair.com/ski or call (800)ALASKAAIR (1-800-252-7522).